In 1901 the Ranger Force faced a crisis requiring new legislation. 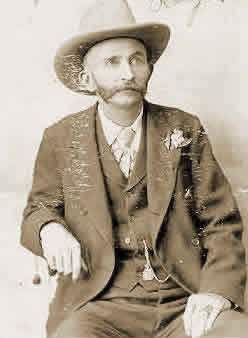 Due to a defect in the 1874 legislation (Section 28 of An Act to Provide for the Protection of the Frontier, 1874), only officers had the authority to arrest suspects. Ranger privates had no authority to make arrests serve warrants or execute other duties. It was rumored that some defendants were released after their attorneys proved to the court that the Ranger privates arresting them had no authority. Other changes related to the organization of the Rangers. By 1901 the Comanche threat was long gone. The cattle industry had moved from open range to feed lots after a series of open range blizzards that devastated the herds and closed many large ranches. And for a time the Mexican border was relatively quiet. With a lessened need for an armed force, the Rangers were downsized to a maximum of four companies of 22 men and became a State Police force. All provisions for allowing for county-based Ranger companies, Minute men and special Battalions were dropped. An Act to provide for the organization of a “Ranger Force" for the protection of the frontier against marauding and thieving parties, and for the suppression of lawlessness and crime throughout the State; to prescribe the duties and powers of members of such force, and to regulate their compensation. Section 1. 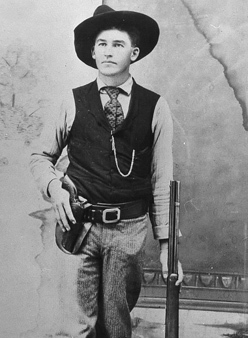 Be it enacted by the Legislature of the State of Texas: That the Governor be and is hereby authorized to organize a force to be known as the “Ranger Force,” for the purpose of protecting the frontier against marauding or thieving partIes, and for the suppression of lawlessness and crime throughout the State. Sec. 2. The “Ranger Force” shall consist of not to exceed four separate companies of mounted men, each company to consist of not to exceed one captain, one first sergeant and twenty privates, and one quartermaster for the entire force. The captains of companies and the quartermaster shall be appointed by the Governor, and shall be removed at his pleasure; unless sooner so removed by the Governor, they shall serve for two years and until their successors are appointed and qualified. Sec. 3. The pay of officers and men shall be as follows: Captains, one hundred ($100) dollars each, ~er month: sergeants, fifty ($50) dollars each, per month; and privates forty ($40) dollars each, per month. The payments shall be made at such times and in such manner as the Adjutant General of the State may prescribe. Sec. 4. The Governor shall appoint a quartermaster for this force, who shall discharge the duties of quartermaster, commissary and paymaster, and shall rank and receive the pay of a captain. Sec. 5. That this force shall always be under the command of the Governor, to be operated by his direction in such manner, in such detachments and in such localities as the Governor may direct. Sec. 6. The Governor is hereby authorized to keep this force, or so much thereof as he may deem necessary, in the field as long as in his judgment, there may be necessity for such a force; and men who may volunteer in such service shall do so for such term not to exceed two years, subject to disbandment in whole or in part at any time, and reassemblage or reorganization of the whole force, or such portion thereof as may be deemed necessary by order of the Governor. Sec. 8. Each officer, non-commissioned officer and private of said force shall furnish himself with a suitable horse, horse equipment, clothing, etc. ; provided, that if his horse is killed in action it shall be paid for by the State at a fair market value at the time when killed. Sec. 9. That the State shall furnish each member of said force with one improved carbine and pistol at cost, the price of which shall be deducted from the first money due such officer or man, and shall furnish said force with rations of subsistence, camp equipage and ammunitiOn for the officers and men, and also forage for horses. Sec. 10. The amount of rations and forage shall not exceed the following, to wit: For each man’s daily allowance, twelve ounces bacon or twenty ounces beef, twenty ounces of flour or corn meal, two and two-fifths ounces of beans or peas, one and three-fifths ounces of rice, three and one-fifth ounces of coffee, three and one-fifth ounces of sugar, one-sixth gill of vinegar or pickles, one-sixth ounce candles, one-thIrd ounce of soap, two-thirds of an ounce of salt, one-twenty-fourth of an ounce of pepper, four and four-fifths ounces of potatoes, sixteen twenty-fifths of an ounce of baking powder. The forage for each horse shall not exceed twelve pounds of corn or oats, and fourteen pounds of hay per day, and two ounces of salt per week; provided, that when in case of emergency the members of said force are employed in such duty that it Is impracticable to furnish the rations herein provided for, each member of said force so employed shall be allowed for his necessary actual expenses for such subsistence not to exceed one dollar and fifty cents ($1.50) per day; and provided further, that when it becomes necessary to move the members of said force from one place to another by railroad, the actual necessary expenses of such transportation shall be paid. Sec. 11. The officers, non-commissioned officers and privates of this force shall be clothed with all the powers of peace officers, and shall aid the regular civil authorities In the execution of the laws. They shall have authority to make arrests, and to execute process in criminal cases, and in such cases they shall be governed by law regulating and defining the powers and duties of sheriffs when in discharge of similar duties; except that they shall have the power, and shall be authorized to make arrests and to execute all process in criminal cases in any county in the State. They shall, before entering on the discharge of these duties, take an oath before some authority legally authorized to administer the same, that each of them will faithfully perform his duties in accordance with law. In order to arrest and bring to justice men who have banded top’ether for the purpose of committing robbery or other felonies, and to prevent the execution of the laws, the officers, noncommissioned officers and privates of said force may accept the services of such citizens as shall volunteer to aid them, but while so engaged such citizen shall not receive pay from the State for such services. Sec. 12. When said force, or any member or members thereof, shall arrest any person charged with the commission of a criminal offense, they shall forthwith convey said person to the county where he or they stand charged with the commissiOn of an offense, and shall deliver him or them to the proper officer, taking his receipt. therefor, and all necessary expenses thus incurred will ho paid by the State. Sec. 13. The Governor and Adjutant General shall cause to be made such regulations for the government and control of the organization herein provided for, and for the enlistment and employment of non-commissioned officers and privates, as they may doom necessary, to the end that the force so provided shall be as effective as possible. Sec. 14. All laws and parts of laws, both general and special, in conflict with the provisions of this act, are hereby repealed. Sec. 15. The fact that the Revised Statutes are indefinite; and that a defect exists, in that the privates of said force have no authority to execute criminal process, creates an emergency and an imperative public necessity that the constitutional rule requiring bills to be read on three several days be suspended, and that this act take effect and be in force from and after its passage, and it is so enacted. Approved March 29, 1901. Takes effect 90 days after adjournment.